Liberal values in a less liberal world? Liberal values in a less liberal world? Liberal values have guided international cooperation over decades, based on the view that an open economic architecture with common rules is a shared interest, both regionally and globally. A common set of rules has promoted the development of free and open markets across borders, delivering tremendous gains. Yet, signs of less support for liberal core values and the rise of new powers in the global economy might suggest the tide is turning. What is at stake? And how can we best pursue politics that promote open markets and support international rules? Siv Jensen has been the Norwegian Minister of Finance since 2013. She has served as the Leader of the Progress Party since 2006 and led the party to form its first-ever government as part of Prime Minister Solberg’s Cabinet. She has been a Member of the Norwegian Parliament since 1997. 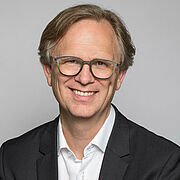 Jensen served as Deputy Member of the Norwegian Parliament between 1993 and 1997 and was a Member of the City Council of Oslo from 1995 to 1999. She chaired the parliamentary Committee of Finance from 2001 to 2005, was on the Committee of Foreign Affairs between 2005 and 2009, and served on the Committee of Foreign Affairs and Defense from 2009 to 2013. Mark Hallerberg is Dean of Research and Faculty and Professor of Public Management and Political Economy at the Hertie School of Governance. His research focuses on fiscal governance, tax competition, financial crises, and European Union politics. He previously held academic positions at Emory University, where he maintains an affiliation with the political science department, as well as at the University of Pittsburgh and Georgia Institute of Technology.